I know when my now sainted wife was having some heart trouble, she was deemed to be inoperable because of her diabetes would prevent “harvesting a spare vein from her leg”. It was fortunate that she had developed a “spontaneous alternate flowing capillary” on her heart that meant no operation was needed. I image that this might be a “God send” for some poor soul with a similar need. Amazing what humanity can discover when we’re not killing each other. 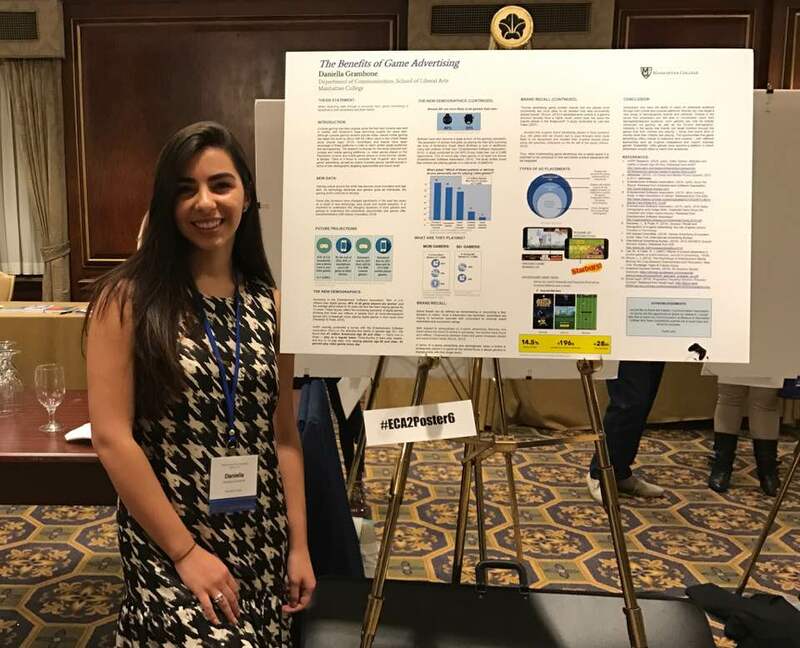 Thom Gencarelli 5 hrs · Manhattan College Communication student #2 presenting her research poster at the Eastern Communication Association Conference in snowy, sleety, rainy Boston! You go, Daniella Grambone! Andddd… It was just announced that Daniella won the third place award for poster! Out of 85 students! Somebody tell her! His long journey to Vietnam nearly over, Kevin Reynolds cupped his hands and scooped sand from a berm near where his 23-year-old brother was killed during the war. Reynolds, 67, had traveled to the village last month, hoping to find the exact spot where Marine 2nd Lt. Richard Reynolds Jr. had died in 1968 and also to bring a small measure of closure to a long and painful family history. During his trip, Reynolds brought clothing and toys to an orphanage in Da Nang, a city that American troops had used as a giant military base, and whose surrounding area had been devastated by the fighting. He considered it a peace gesture on behalf of his brother. Finding closure, Kevin Reynolds said, might never be fully possible. But finding the spot where his brother perished brought a connection that had eluded him for the decades since his passing, Reynolds said. In the emotional moment when he reached the spot where his brother died, Reynolds scooped up the sand, but forgot to bury a scarf he had given his mother before she died in 1993. Please allow me to share with you an incredible journey taken by the Brother (Kevin Reynolds ) of 2nd.Lt. Richard Reynolds Jr. '67, United States Marine Corps. The story was shared with us by John Reinke who received it from Fellow Jasper, Jim Kilroy '68. The story is sad, beautiful and uplifting as it talks about a real hero loved, mourned, cherished, respected and never forgotten. One of so many that gave all in Vietnam. We pray for Lt. Reynolds, his Brother, Kevin, his Friend, Jim Kilroy, the Reynolds Family and those so many others who were touched by Lt. Reynolds. His love, grace, sacrifice and spirit live on. Thank you, Kevin, Jim and John. Semper Fi, Richie. God Bless. Colon, Philip J. (MC1962) passed this along to his prayer circle. Louis Larizza, Jr., a lifelong resident of Port Chester died April 2, 2017. He was born June 15, 1990 in Port Chester to Louis and Nella Tedesco Larizza. He graduated from Port Chester High School in 2008. and the went to Fairleigh Dickinson University in Teaneck, NJ where he played Division 1 basketball. He graduated in 2012 with a degree in communications. Louis was a site manger for Lazz Development in Port Chester. He was an assistant coach for Manhattan College Basketball. He is survived by his parents Louis and Nella Larizza of Port Chester, NY., maternal grandmother Anna Tedesco of Port Chester, NY., sister Jenna Larizza of Port Chester, NY., brother Mouhamed Lo of Port Chester, NY., aunts Gina Larizza Ditrio and husband Tony of Norwalk, CT. and Renee Larizza of Stamford, CT., uncles Mark Larizza of Port Chester, NY. and Joseph Tedesco and wife Karen of Greenwich, CT., and several cousins. From Mike McEneney, we share a prayer request for the Sister-In-Law of one of our Retreat Speakers, John Cameron. We pray for the repose of the soul of Mrs. Laura Cameron. Laura was called home on April 3, 2017 after a very long illness. We pray for Laura, her Husband Billy, their Son, Jordon and their Family as the Family mourn the loss of their loved one. May she Rest In Peace. Thank you. God Bless. Don Conover passed away on Tuesday, March 28th near his home of thirty years in Newtown, Pennsylvania. He was eighty-five years old. He went peacefully and in gratitude for a full life, knowing he was loved deeply by friends and family alike, and in the arms of Patti Kohlmayer Conover, his wife and true love. Born on July 25th, 1931, in Brooklyn, NY, Don was the son of Earl, head of the Math Department at Poly Preparatory Academy, and Hazel, a homemaker who had once worked in the secretarial pool for Thomas Edison. He is pre-deceased by his older sister, Patricia Lott, and survived by his younger sister, Sally Andersen. He is also survived by his two sons, Malcolm and Paul, and Paul's two children, Catherine and Matthew. Most who knew him would describe Don as distinctly "old school." Like so many from the so-called "greatest generation," he had a sense of decency and humility, and a commitment to positive contribution that, to him, was more important than the accolades that came along with his accomplishments. In describing his own childhood, rather than focus on the privations of the depression or the war, he'd speak of his good fortune – subway trips with his father to visit the World's Fair, visits to an uncle's farm or, later, a simple beach house on the Jersey shore, attending Poly Prep on a scholarship and spending idyllic summers at Camp Hawthorne in Maine. Writing about his life, Don described himself simply as "a very lucky boy, growing up in the warm embrace of family, friends, school and church." Don graduated from Princeton University in 1953 with a Bachelor's Degree in Engineering. Later, in 1964 and 1965, he attended MIT where he was awarded a Sloan Fellowship and earned a Master of Science degree in Industrial Management. For most of his career, Don was in the Bell system, first with Western Electric and then with ATT. He served on the management team of several factories, including the famous Hawthorne Works in Chicago where he directed engineering and manufacturing of electro-mechanical switching equipment for the telephone network. He became Western Electric's Director of Corporate Planning, a post he held for nearly ten years, and ultimately held the position of Vice President of Corporate Education for ATT, running the Corporate Education Center in Princeton, New Jersey, and heading up business education worldwide. Like his maternal grandfather, Don was a "Telephone Pioneer" and took great pride in having helped to build something of fundamental value in our society. But, especially after the breakup of the Bell system, he worried about the erosion of loyalty between employers, customers, and employees. In time, he came to evaluate decisions against a deceptively simple mantra: "Choose actions that shorten response time and which increase trust." The idea of shortening response time, and providing excellence in the customer's terms, is easy to understand in today's hyper-competitive world. The idea of increasing trust is perhaps more subtle. As organizational relationships are less defined by hierarchy or chain of command, what is the glue that can hold us together? For Don, that glue was an active effort to build trust and human caring across the organization. Modern thinking for an old school guy! Don could also be considered ahead of his time in quietly rejecting the prevailing model of "the organization man," a model suggesting that one could and should give all to the company and, in turn, could expect near complete fulfillment in that role. He was deeply satisfied in his professional life, but he also understood the importance of a balanced life. For Don, that balance certainly included "giving back." For years, he was an active member of the Princeton Chamber of Commerce and the Princeton Rotary Club, serving as President for a term with each organization. He was a member or officer of the Board Advisory Group of the Girl Scouts, the Business Advisory Council of Manhattan College, the World Future Society, the Academy of Management, the American Society of Training and Development, and the Board of Directors for the Thomas Edison State College Foundation. After a long absence from any church, he came to St. Andrew's in Yardley, PA, where he was a devoted member for nearly twenty years. His idea of balance included a quiet passion for so many things! He built and flew kites and model planes with his boys, read thrilling poems and stories aloud to them, painted perhaps a hundred worthy canvasses, wrote stories and essays and reflections. Don stayed in deep touch, over great distance and time, with many, many dear friends. He joined discussion clubs and he respectfully sought out those who might think differently. He had a nearly lifelong obsession with Spain in general and the pageant of bullfighting in particular, becoming an officer in at least three taurine fan clubs. He worked out at the Newtown Athletic Club for decades. He was a tireless builder of sand castles with his grandchildren. He loved to snorkel. Even when he had turned frail, his grandchildren noticed how he would come alive with power, grace and fascination when underwater. He did his best, with his dear Patti, to travel every corner of the world. As long as they were together, it probably didn't matter all that much, but Don was always planning a trip to somewhere new, and a return to this or that "favorite" place.In this and every favorite place, we will miss him. A celebration of Don's life will be held at 11AM on Saturday, April 22, at St. Andrew's Episcopal Church, 47 W. Afton Ave, Newtown PA 18940. JR: In a truly free market, cooperation yields “certificates of appreciation”. RK: I don't understand that. Frankly, it sounds like obfuscation. JR: If all those “certificates” end up in a few hands, then won’t it induce more cooperation? For example, Bill Gates doesn’t sit on a pile of “certificates” but uses them as he sees fit to express his appreciation to others. Laugh! RK: Gates, together with his wife, is very magnanimous with his wealth. Still, because you're right that he distributes it as he sees fit, not a lot "trickles down" to folks in the American middle class who could benefit. JR: I believe it’s only when the Gooferment get involved does the “wealth distribution” suddenly become a big issue. That and many of “We, The Sheeple” are induced to be jealous and envious of those “lucky few”. RK: I think a lot of Trump supporters would dispute that with you. They were out of work, out of money and felt "forgotten," not unlucky. Government just tends to focus people’s views - not create them. JR: We have “raised” generations of “welfare farmers” and “Crony Capitalists” who live off the Gooferment dole. That’s our current problem, imho. RK: Are you counting the corporations that receive enormous subsidies, tax breaks, and other benefits they often get to write into legislation themselves through the auspices of lobbyists? JR: The Pope’s message is socialism which emasculates the human desire to improve. RK: Because if you count the corporations, this charge against the Pope must be softened. And the "emasculation" (maybe "diminishment" would have been a better gender-neutral word) of desire to improve can just as easily be reached simply by being deprived of the opportunity to work (or to earn a living income). In fact, more than a diminished desire to improve might result -- the complete loss of will to live can take hold. JR: Like “don’t feed the bears” in the national parks, “don’t feed the hungry”. Not to starve them, but to incentivize them. Give them opportunity. Don’t kill them with the “kindness” of the Gooferment dole. IMHO! RK: I agree people need opportunity, as I just said. It seems to me, though, that concentration of wealth acts to remove opportunity. The free market does as well -- for instance taking advantage of every available opportunity to increase bottom-line profit for investors, even at the expense of the workforce. Before long, automation will increasingly deny people who are perfectly willing to work the opportunity to do so. But, I don't think the Pope has approached that topic, specifically, yet. Thomas J. Moran ’74 will address the undergraduate class of 2017 and Bettye H. Perkins, Ed.D., will be the keynote speaker at Spring Commencement. Philip James Garbarini, Jr., 90 of Bedford, passed away peacefully, surrounded by his family, on Monday, March 27, 2017. He was born on Oct. 22, 1926 in New York City to Della and Philip Garbarini. He grew up on Staten Island, attended public school and St. Peter's High School, and graduated from Manhattan College with a degree in business. After working for several textile firms in New York City, he had the opportunity to move to Virginia to manage a textile mill for Belding Heminway. He and his family moved from New York to Bedford, Virginia in 1968. In 1982 he purchased the mill where he became owner and president. He remained active in his business until one month prior to his death. Phil was preceded in death by his parents and sister, Doris. He is survived by his beloved wife of sixty-four years, Eileen, four children, Clair (Gil) Halasz, Nancy (Andy) Vest, Philip (Virginia), Mark (Karen); seven grandchildren, Jennifer (Ryan) McFarland, Katie, Anthony, Laura, Benjamin, Christopher and Ashley Garbarini, and sister Anne Friis-Skotte. In his spare time, Phil was involved in various endeavors including cattle farming, working on cars and refurbishing his wooden boat, Nomad. He was always accompanied by his Golden Retriever, JD. However, his greatest love was his family. He looked forward to Sunday and holiday dinners when all his children and grandchildren were with him. He will be missed. The family would like to thank his wonderful caregivers, Bea, Rosa, Theresa P., Terisa H. and Lyn whose kind, compassionate and loving care he received during the last few months of his life. Funeral Mass was held Friday, March 31, 2017 at 11 a.m. in Holy Name of Mary Catholic Church with Father Salvador Aonuevo officiating. Interment followed in Greenwood Cemetery. In lieu of flowers, please consider a memorial contribution to Holy Name of Mary Catholic Church Building Fund, Bedford Rescue Squad or Bedford Volunteer Fire Department. To send condolences online please visit www.tharpfuneralhome.com. Tharp Funeral Home & Crematory, Bedford is assisting the family. I believe that Philip is a member of the Class of 1949. DECATUR -- Robert James Hayward, 88, of Decatur, IL, passed away April 3, 2017, at St. Mary’s Hospital. Mass of Christian Burial will be 1:00 p.m. Saturday, April 8, at Holy Family Catholic Church with visitation from 11:00 a.m. until service time. Burial will be in Mt. Gilead Cemetery, Decatur. In lieu of flowers, memorials may be made to St. Teresa High School or Holy Family Catholic Church. Brintlinger and Earl Funeral Homes, Decatur, are assisting the family with the arrangements. Robert was born March 8, 1929, in The Bronx, New York City, NY, son of Robert James and Katherine (Hoffman) Hayward. He married Marilyn Anne Cusick September 12, 1953 in New York City. She preceded him in death in August 2000. Robert served as a Captain in the New York National Guard. He received his Bachelor’s Degree at Manhattan College and retired after 42 years at ADM as a regional sales manager. Robert was a member of Holy Family Catholic Church. He enjoyed watching his family play sports, especially at St. Teresa High School. In his youth he had played college baseball and basketball. Bob enjoyed watching the stock market every day and he cherished time spent with family and friends. Surviving are his son: Robert James III (Diane) Hayward of Rockford, IL; daughter: Donna Marie (Mike) Pinkston of Decatur, IL; son: Tom (Maureen) Hayward of Apple Valley, MN; grandchildren: Robert James IV (Erin) Hayward, William “Bill” (Cathy) Hayward, Anthony “Tony” (Jess) Hayward, Jacob Hayward, Brandon (Katie) Pinkston, Katie Britton (fiancé Jake), John Pinkston, Nicole Hayward, and Samantha Hayward; great-grandchildren: Violet, Iris, Paige, Natalie, Chloe, Miles, Braden, Elliot, and Charlotte. Robert was preceded in death by his parents, wife Marilyn, and great-grandson Oliver James Pinkston. I believe that Robert is a member of the Class of 1951. Mike McEneney asks for our prayers for Fellow Jasper, Jerry Cashman ’53, long time Dean of Students at Manhattan. Jerry is not doing well. His Daughter-In-Law Claire has said that Hospice is due to minister to Jerry as of Friday. We pray for Jerry and his Family during this difficult time. Thank you. God Bless. Alexander Pavlista's retirement from the faculty of the University of Nebraska Panhandle Research and Extension Center at the end of March marks the end of 50 years of continuous research, 29 of them at the Panhandle Center. Pavlista knew he wanted to be a scientist at an early age. He was 13 and knew he wanted to do scientific research, 15 when he picked biology, 21 when he chose biomedical research over oceanography. He chose plant physiology, and by age 30 knew he wanted to use science in the service of agriculture. 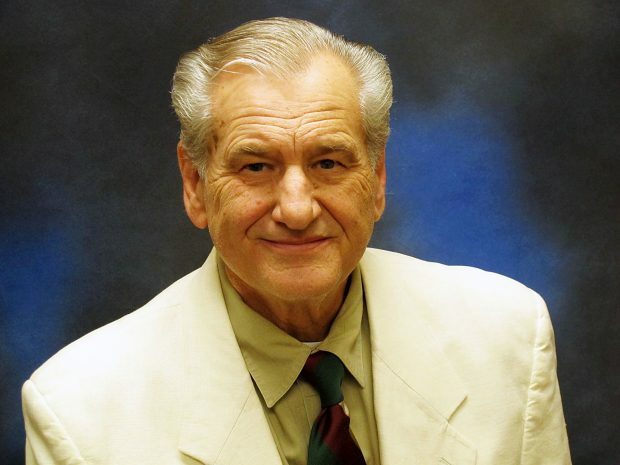 Born in Praha, Czechoslovakia, he left the country in 1948 when his parents escaped the Communist regime there and migrated to the U.S. Growing up in New York City, he attended Manhattan College, where he received a bachelor's degree in biology with minors in chemistry and theology. In retirement, Alex and Victoria will be living in Denver, relaxing with puzzles, games, and reading; staying active by skiing, swimming and walking and writing. He also has been granted emeritus status by the promotion and tenure committee in the UNL Department of Agronomy and Horticulture. One of Pavlista's "bucket list" goals is writing a book, tentatively titled "From Plants to God." The book will outline research in plant sciences that has altered theological concepts of the time. The book will begin with Aristotle, the philosopher and scientist of ancient Greece, who is credited with the birth of plant physiology. In the first recorded experiment in plant physiology, Aristotle was able to disprove the popular idea that life was produced by ether, some divine force that existed in air. Today, along with our Lasallian brothers and sisters around the world, we celebrate the feast of the founder! I am writing this 2017 Easter message from Christian Brothers Academy, Lincroft, NJ where I’m recovering from a bout with pneumonia. My hope, of course is that my next message will be written from our Addis Hope program in Ethiopia. As always, my apologies for this mass mailing. This time I have a good excuse. When I think of the Easter season, I think of those who make possible the education and feeding of our impoverished kindergarten age children of Addis Ababa street families. I think of Psalm Sunday and how palms were tangible symbols we held in our hands making the story of Jesus’ last days something we could literally grasp. The dictionary tells us the name palm tree derives from the way the leaves resemble the shape of an outstretched hand. And there we can find their deepest meaning. With that hand, earth can be tilled, clay can be formed and empires built. With that hand a flower can be given or a stone can be hurled. We can grasp the hand of another to squeeze away fear or to offer friendship. A hand can heal a hurt of brush aside a tear. We in the Addis Hope program, children and staff, are grateful for the outstretched hands of our donor partners that have allowed us to provide two years of kindergarten education and daily hot meals to more than two thousand children over the years, children with no hope of an education of any kind were it not for those outstretched hands. Brother Tim will deposit any checks in our Addis Hope account. Computer and science labs, dormitories, a library and a 500-foot well have all been built with the money Rich and Judy McKay have raised for the poor and working class students at St. Mary’s Child Rescue Center & Secondary School in Central Kenya. The Teaneck couple is being honored Saturday for their work, which raised more than $2 million throughout the past decade for a school in Nyeri, Kenya, which is about a 2½-hour drive north from Nairobi and a more than six-hour drive west to Lake Victoria, where educators aim to break the cycle of poverty through education. In recognition of their work in support of the school, the couple is receiving affiliation from the Brothers of the Christian Schools — the highest honor the Roman Catholic order bestows — at a ceremony at Manhattan College in the Bronx. Maybe I have my tin foil hat on a little tight, but I see this as an anti-Catholic activity. Can’t think of another religion’s sacrament being used this way. And, it’s always fair game to attack the things that Catholics hold sacred. Never gets done to Muslims. Because they speak up and are not “Christian”. The “Secular Progressive” left hates anyone who opposes their version of morality. Just my opinion and observation.